Over the summer I was asked to come up with a new way of thinking about how to teach Jewish high school students. I had learned about an idea that came out of the Stanford Design School called “design thinking.” This is the process that helped create the iPhone Airbnb and is a prominent mode of development for Facebook and Google. Design thinking revolves around a deep interest understanding the people for whom we’re designing the products or services. It helps us observe and develop empathy with the target user. It helps us in the process of questioning: questioning the problem, questioning the assumptions, questioning the implications. Design thinking is extremely useful in tackling problems that are ill defined or unknown, by reframing the problem in human-centric ways, creating many ideas in brainstorming sessions, and adopting a hands-on approach in prototyping and testing. Design thinking also involves ongoing experimentation: sketching, prototyping, testing, and trying out concepts and ideas. It is a powerful method for reaching students in a postmodern age. In Western philosophy, a late 20th-century movement characterized by broad skepticism, subjectivism, or relativism; a general suspicion of reason; and an acute sensitivity to the role of ideology in asserting and maintaining political and economic power. Our lives are beset by constant change and ever-increasing transition. We are now swimming in a sea of ambiguity and multiple truths, and many of my students don’t see Judaism or any social or religious construct as “true.” How do we then engage those to whom we as Jewish educators are charged with transmitting the power of the tradition? It is my belief that Judaism is a wonderful tool to engage with these postmodern or post- post-postmodern lives that we are now living. 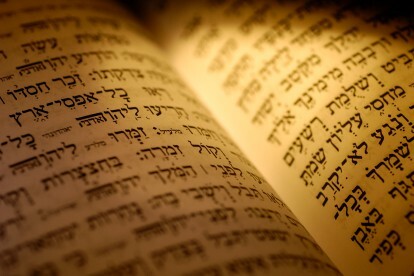 Judaism is not a religion of answers as much as a religion of questions. Our tradition is hardly 100% certain on a multiplicity of topics and theological concepts. Like design thinking, Judaism gives us the tools to ask better questions and become part of a more informed conversation. This conversation is partly rooted in the past but is not entrenched so much that it has become intractable. Judaism is about an invitation to a conversation to discover meaning within a circle of community fostered by a deep love of debate and a quest for spiritual and intellectual refinement. We can say to those looking for a foothold in the postmodern context in which we live that we might not have all the answers, but we can teach you how to ask better questions. I feel that the days of being lectured to from a pulpit or classroom are coming to a close for those who want to find meaning within any community, let alone a Jewish community. Asking questions is key to building a better community.